Daimler and the Renault-Nissan Alliance broke ground for their joint-venture manufacturing complex, COMPAS (Cooperation Manufacturing Plant Aguascalientes), in Aguascalientes in central Mexico, which will build nextgeneration premium compact vehicles for the brands Mercedes-Benz and Infiniti. “Today marks an important milestone for the partnership between Daimler and the Renault-Nissan Alliance. This new joint plant will help both partners to serve their respective customers faster and with more flexibility. As Mercedes-Benz’ first production location for compact cars in the NAFTA region, it will also significantly enlarge our footprint here,” said Markus Schäfer, Member of the Divisional Board of Mercedes-Benz Cars, Production and Supply Chain anagement. technology as well as further training and assistance by our global lead plant for compact cars in Rastatt, Germany. 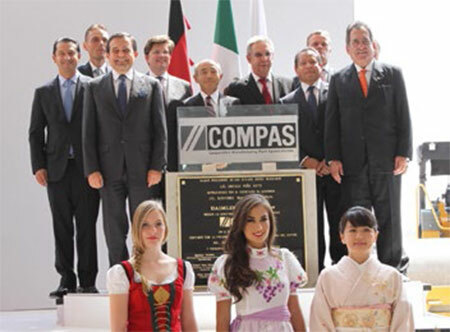 This proven approach will guarantee that our quality here in Aguascalientes will be the same as at the other locations of our global compact car production network in Europe and China.” COMPAS is 50:50 owned by Daimler and Nissan. The partners will invest a total of US$1 billion in the joint venture which will oversee the construction and operation of the state-of-the-art manufacturing plant. “This new plant represents yet another example of the growing collaboration between the Renault-Nissan Alliance and Daimler. Mexico is a global benchmark for quality and efficiency and is a major reason why Daimler and Nissan have decided to produce the next generations of premium compact cars for Mercedes-Benz and Infiniti here in Aguascalientes. What we are celebrating today has also been made possible through our close collaboration and partnership with both the state and Federal governments,” said Jose Muñoz, Executive Vice President, Nissan Motor Co., Ltd. and Chairman, Management Committee – Nissan North America. Economy; Carlos Lozano de la Torre, Governor of the state of Aguascalientes; Markus Schäfer, Member of the Divisional Board of Mercedes-Benz Cars, Production and Supply Chain Management; Jörg Prigl, Head of Product Group Compact Cars, Mercedes-Benz Cars; Jose Muñoz, Executive Vice President, Nissan Motor Co., Ltd. and Chairman, Management Committee – Nissan North America (NNA); Roland Krueger, President of Infiniti Motor Company, Limited; Ryoji Kurosawa, COMPAS CEO; Uwe Jarosch, COMPAS CFO; Glaucio Leite, COMPAS CQO; and Armando Avila, COMPAS Board of Directors Chairman. As announced in June 2014, Daimler and the Renault Nissan Alliance will also cooperate in the development of the next-generation premium compact vehicles for the brands Mercedes-Benz and Infiniti. 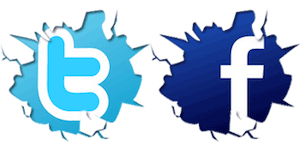 The two partners will closely collaborate at every stage of the product formation process. Brand identity will be safeguarded as the Mercedes-Benz and Infiniti vehicles will clearly differ from each other in terms of product design, driving characteristics, and specifications. Daimler and the Renault-Nissan Alliancewill also produce the next-generation premium compact cars at other production locations around the world, including Europe and China. Growing together in Mexico. Mexico is already a key location for Daimler with a total of around 8,000 employees. The group has production plants for trucks and buses in Saltillo, Santiago Tianguistenco, and Garcia, a parts distribution center in San Luis Potosí and a remanufacturing plant, a product delivery center, and a training center for passenger cars located in Toluca. Nissan has been producing vehicles in Aguascalientes since 1992 and is known for its award-winning, highly efficient workforce. In November 2013, Nissan opened a second manufacturing complex in Aguascalientes, Aguascalientes A2. Nissan also has a plant in Cuernavaca. Together, the three plants have an annual production capacity of 850,000 vehicles. Nissan is the leading automaker in Mexico, accounting for one in four cars sold.